At Dulux we have a long history of providing extremely durable warranty grade powder coating finishes for commercial and residential construction projects across Australia, Asia, New Zealand and the Middle East. Our ranges of premium products are formulated to provide outstanding durability performance in the harshest environments. To celebrate our proud record of accomplishment, we are pleased to announce the release of the new Dulux Commercial Project Reference & Specification Guide. This guide has been developed to showcase a selection of actual projects where our products have been specified. In addition, we have included information to help drive specification of the most appropriate grade of products for commercial projects. 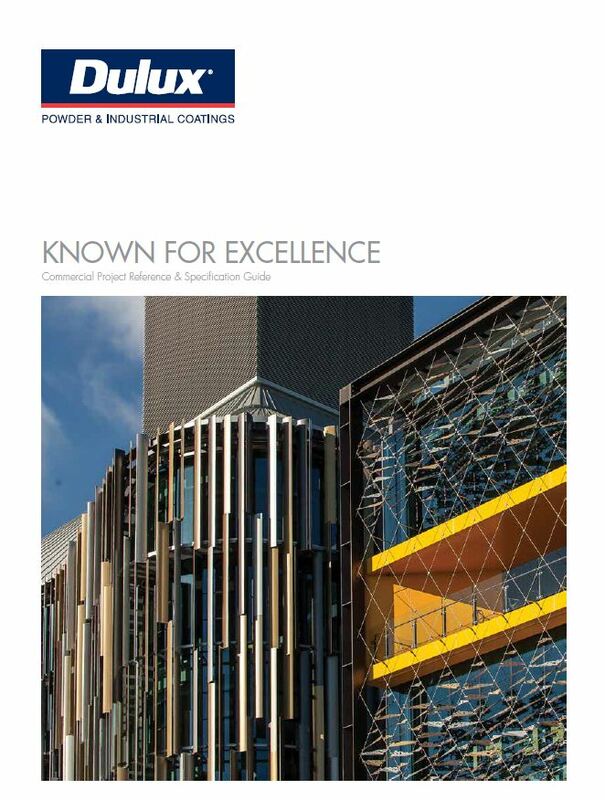 To download a copy of the Commercial Project Reference & Specification Guides click here.